Every maker has a story. Be a part of Robert Thomas Iron Design's story by placing an order, leaving a review, and seeing your review appear here. 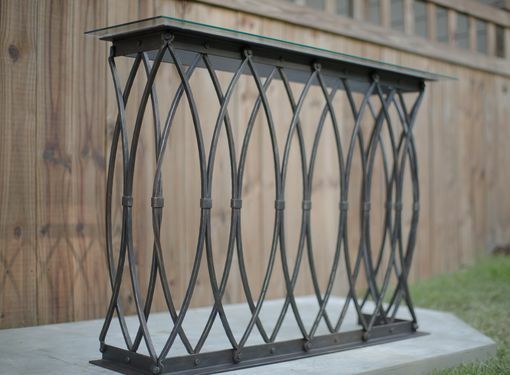 This console is based on exterior architectural iron elements found in historic downtown Charleston. 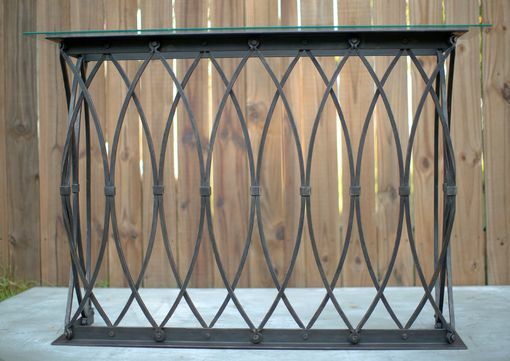 Heavy angle iron frames on the top and bottom of the piece give it a contemporary, industrial feel. 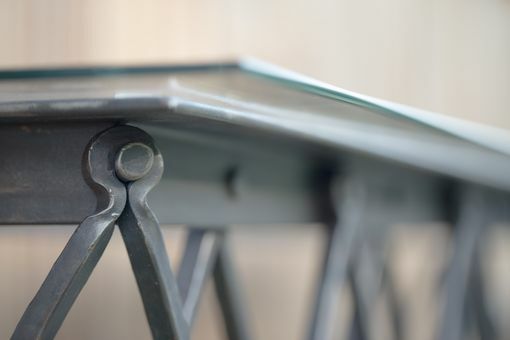 The arch pieces are joined to the top and bottom frames using heavy rivet connections that make it feel like an antique bridge truss. Curved uprights are joined using traditional steel collars. The table base is 48" x 36" x 12" and the glass top is 52" x 14" to give it 2" overhang on three sides.